To become whole we need to bring out what is inside of us. We have to risk going out on a limb, to express our inner selves, to share our gift with the world. What we hold inside is our salvation if we bring it out, if we lock it up inside ourselves it is our destruction. The energy must move and flow freely. It is why we are here – to dance in the energy of life. Come have a cup of tea as we ponder the meaning of life. Come walk with me in the woods as I tell you about my life. Come into my office and I’ll share the secrets of organizational change. Come discover my views on relationships. Often a catalyst for change, my role is to seed new thoughts and behaviors. This is neither a typical business book, nor a traditional relationship guide. It is based on my own experience and includes many personal accounts of a sometimes dif- ficult journey. Along the way, I’ve pondered how we may build a better world. I was one of the first women engineers in the paper industry in the United States. The company I worked for was at the forefront of organizational change. After an assignment in France I turned my attention inward to study Life Therapy. It helped me recover from burnout and showed me the path back to life. I returned to my native Sweden to start a therapy business. There I discovered the expressive arts and instead of becoming a therapy teacher I began writing books. 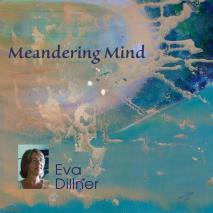 Eva Dillner is a writer, artist, therapist and teacher specializing in creative and therapeutic processes for inspiration and transformation. Through her company Divine Design she publishes books and art as well as audio and e-books. Her pub- lishing partners are on the leading edge of the digital age. Her art has been described as magical, mystical, dreamy, inspiring, fantastic, emotional, healing, like stars being born, a journey through Cosmos and Mother Earth. In between writing and painting she travels and does the occasional exhibition or workshop, somewhere in the world.